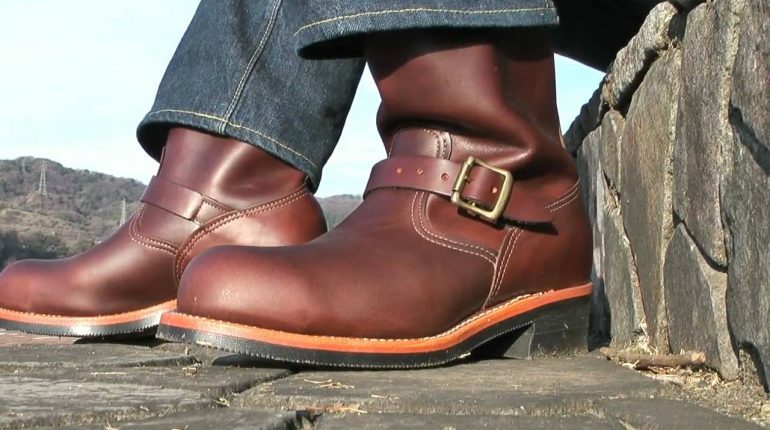 Chippewa vs. Red Wing: Which one is the better brand? A good pair of booths can come in very handy, especially if you are in a hazardous environment. No matter if it’s a work-related task or a hiking trip, your safety should be number one priority at all time. That is why having something to reliably and effectively protect your feet is crucial. When it comes to dependable boots, Chippewa and Red Wing are well – known names in the industry with high-quality products. If you are looking for high endurance booths, there is a good chance you can get what you want from one of these names. Chippewa vs. Red Wing, who is the winner here? Well, they have a wide range of models to suit a variety of people needs and requirements. There is a diversity of personal preference, therefore, customer opinion varies a lot from one to another. This is why it’s best to inspect and exam their products carefully and come up with an answer on your own. Down below is extra information about these brands to help you make up your mind. Compare them to what you want for a suitable pair of booths then you can have a wise and logical purchase. The brand was founded in a small factory in Chippewa Falls, Wisconsin in 1901. Initially built for engineers and loggers, Chippewa keeps up its tradition of supplying rugged boots and shoes to the public. Its products prove to be an excellent companion for users that wear them in demanding conditions. With the quality and manufacturing standards remain uncompromised over the years, Chippewa is the name to go after when you want a tough pair a booths. Usually at a reasonable price, this is a good option in the case you are shopping on a budget and still desire quality. It started out in Red Wing, Minnesota when a man named Charles Beckman wanted to make boots which can endure tremendous abuse yet comfortable nerveless. To achieve that vision, the boots must employ high-quality materials in their construction to maximize the structural toughness. To this day, Red Wing commitment to the vision from its founding days remains the same and continues to make high-grade products. The boots and shoes from the brand are guaranteed to last for quite a long times. If you intend to buy dependable footwear, you should definitely see what Red Wing got to offer. One of the most effective designs to date of Chippewa is its Rugged Handcrafted Lace-Up Boot. If you have to navigate your way through unknown and potentially dangerous places, this is what you should have. The premium leather and strengthened sole shall ensure you have a pleasant time with the boot. Moreover, the boot outsole possesses treads which offer great traction on dry and wet grounds. It doesn’t look flashy and kind of worn out but don’t let that fool you, this boot is built to last. Should you want something that a look more stylish, the Chippewa 6-Inch Plain-Toe Boot will not disappoint you. Its sleek and clean body score high when it comes to aesthetic value but still work rather well. Features such as quality leather and reliable soles are also present so this boot performance is not falling behind its brother. The use of industry-standard welt further enhances the boot structural integrity. For people that want to have fashionable footwear, you can’t go wrong with this one. It’s a perfect combination of function and looks. A polished look and decent general resistance, the Iron Ranger 6 Inch Boot is a great product from Red Wing. Using the brand signature leather, the boot looks fairly decent. You can easily tell this if you compare it to the Chippewa Rugged Handcrafted Lace-Up Boot. The shaft of this boot is a bit high so it should allow better leg protection overall. For endurance, the Iron Ranger is comparable to the Rugged Handcrafted with a minor difference in the sole. Generally, the traction and the toughness of this boot are commendable. However, if all you need is a basic and robust stuff for your feet, you should take a look at the Classic Moc 6 Inch Boot and Weekender Oxford Shoe. Their build quality is consistent with the Red Wing guideline so you can expect them to stay around for quite some time. The kind of support and level of protection these products offer are simply superb. They look nice and only become better as time went by. Since the leather age very well, when wear and tear appear, such things will offer the footwear classic personality and character. At the end of the day, it’s hard to say which one is the better brand so your preference is the deciding factor. Both Chippewa and Red Wing got great boots and shoes with competitive performances. Their designs are tough, strong and study with the use of quality material and efficient construction. Remember that not everyone has the same taste as you. This means you got to take into account your personal needs and requirements in order to make a good choice. That being said, there is a difference that truly separates these brands and it’s the price tag. Products from Chippewa are usually a bit cheaper than their Red Wing counterparts. This could be crucial if you are shopping with a tight wallet but if it’s not the case then the difference is negligible. And that is most of what you should know about these names, pretty straightforward, right? Chippewa vs. Red Wing, it’s no easy to decide right away if you know little about them. But with the help of the information above, now you should have a general idea of what you choose. It’s not much but should get you to a good start.